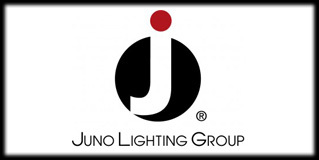 Juno Lighting Group is a leading manufacturer of lighting fixtures and related products. Since 1976, we have been serving customers throughout North America, including electrical distributors, lighting showrooms, contractors, architects, engineers, lighting designers and commercial facilities. Our product family includes six stellar brands and over 50,000 items for commercial and residential construction and remodeling. Our products are designed and engineered in the USA and built to exacting standards of quality and performance.